This week, spend some time practicing two of the activities emphasized in today’s focal passages: singing and praying. 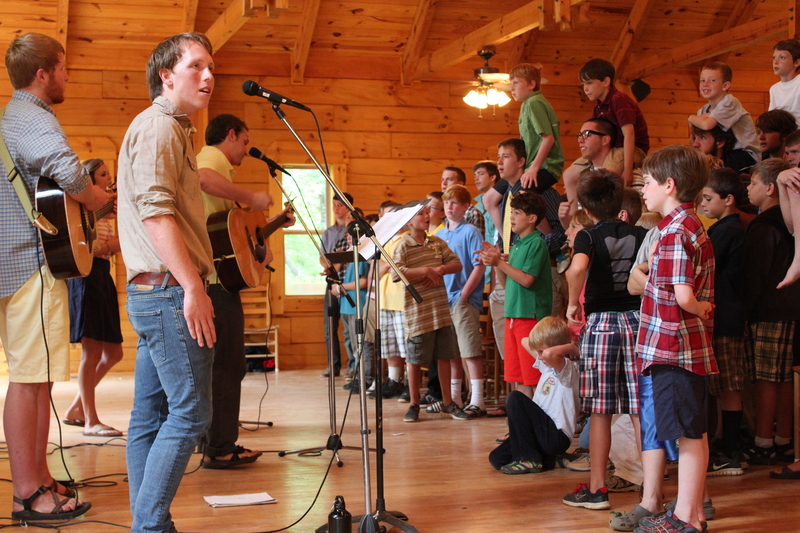 Before dinner one night, allow a family member to share his or her favorite chorus, camp song or hymn. Sing the first verse of that chorus as a family. Do this each night until every member of the family has had a chance to share. Discuss the importance of songs and hymns in sharing our faith with others and reminding ourselves of our relationship with God. After dinner, ask family members to share prayer requests, but focus on the requests for other people. Each night, let a different family member intercede (pray) for the people who were mentioned. Remind family members that we can intercede (pray) for others because the Holy Spirit intercedes for us. Happy day after Valentine’s day! 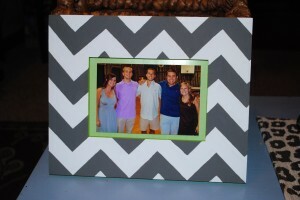 So I have a confession: I am slightly obsessed with the chevron pattern. 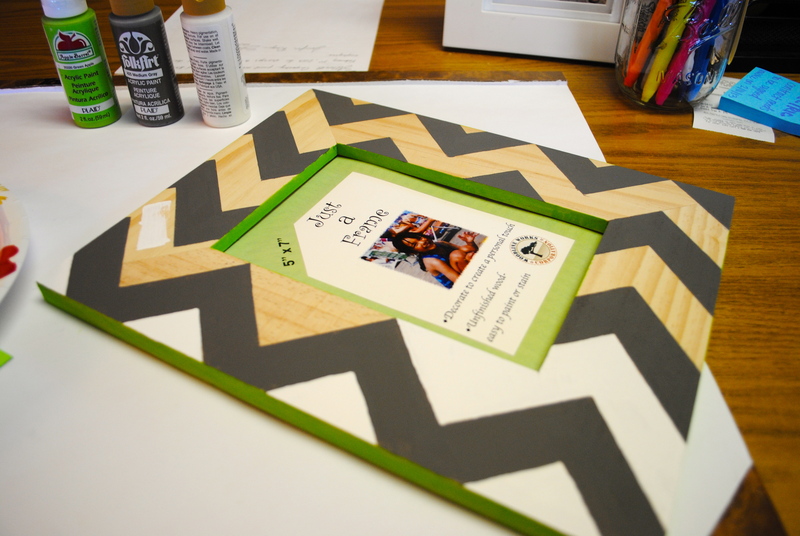 As I was trying to think about what craft I wanted to do next, I decided to combine my love for photos, camp and chevron and I came up with a chevron picture frame. 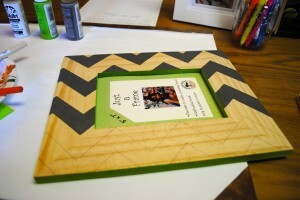 Parents, it would be great for you to partner with your campers and do this craft with them! You can even use the time while you’re painting together to talk about camp and ask them what activities they’re excited about this coming summer. 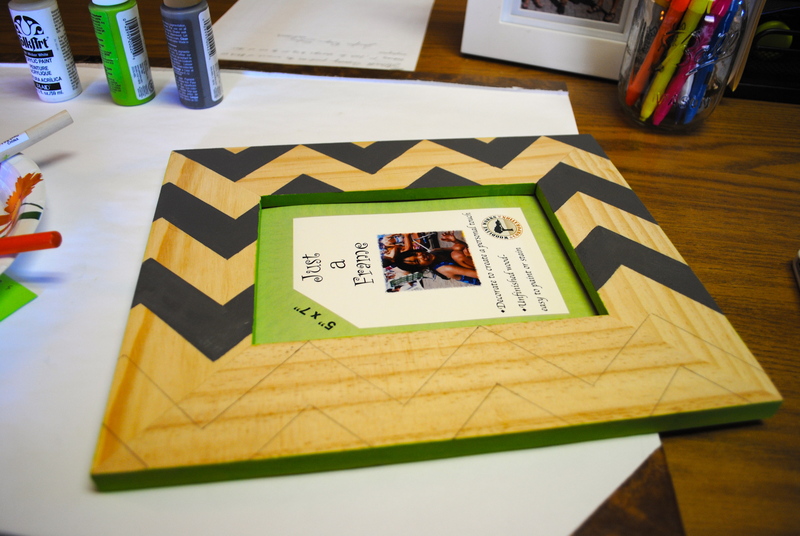 This craft is inexpensive, relatively clean, and full of possibilities! 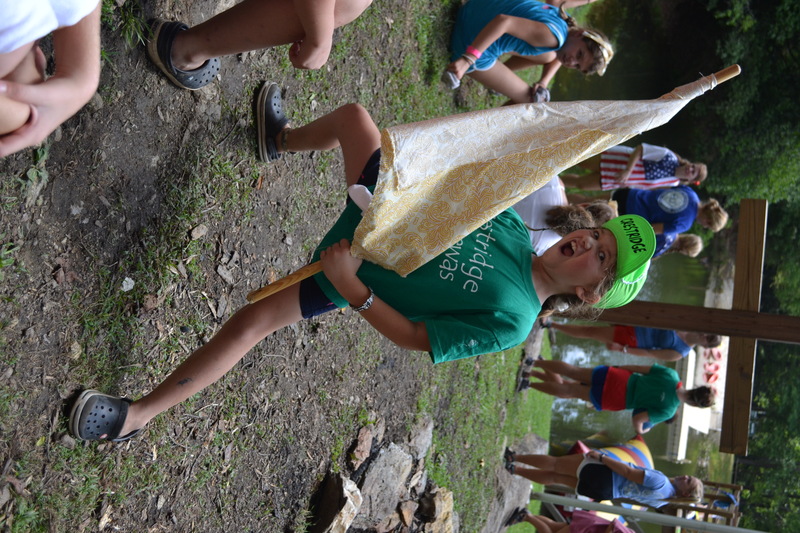 Picture of camp friends – priceless! There aren’t rules to this project. I decided to go with the chevron pattern on mine, but you could do anything you want. 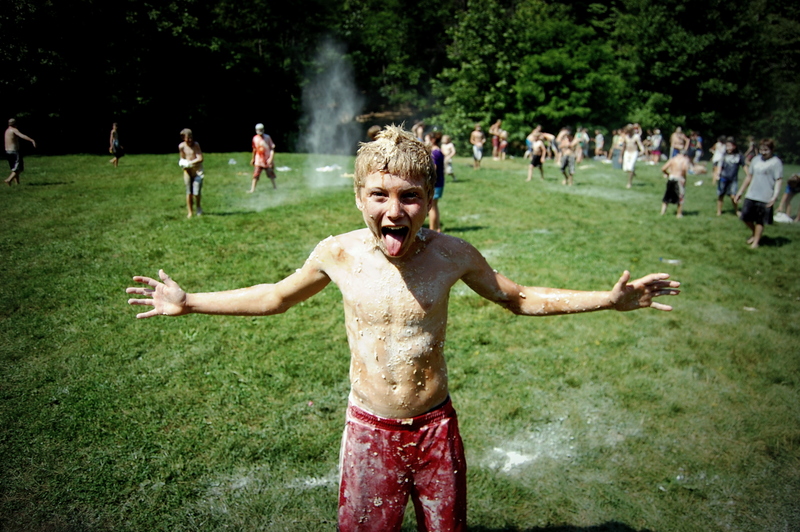 Leave it up to your camper to decide what pattern they want to paint – or let them splatter paint it! I cut out a triangle from card stock paper for the chevron pattern. I decided I did not want to use painters tape for the chevron pattern and have to deal with cutting each piece of tape. 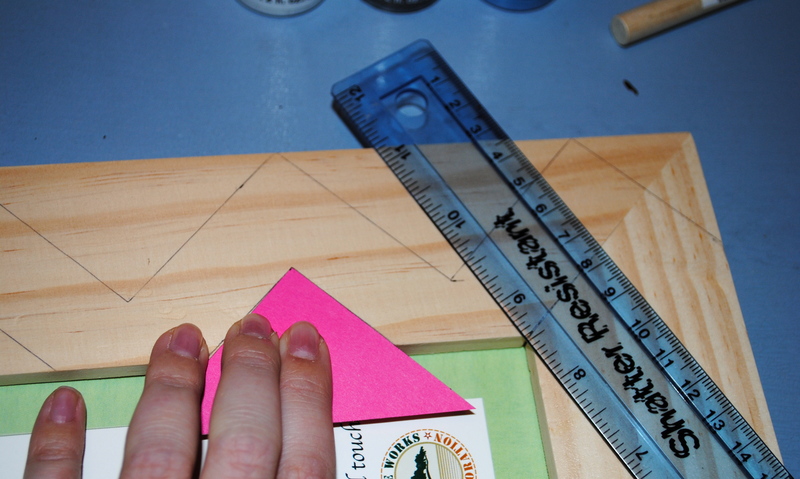 Instead, I traced the top of the triangle and moved it down the frame. I also used the ruler to make sure it was even in between each one. I know it won’t be perfect, but I want it to be fun and whimsical and besides, we’re not perfect around here! Then I carefully started to paint in between the lines. The foam paint brushes make it easier since they have a straight edge. This is the tedious part but if you’re doing another pattern it might not take as long. When you’re done painting, let it dry and then you can spray it with a clear finish to protect it and make it glossy. I decided that I like the rustic look since it’s a wooden frame and I opted out of spraying it with a clear finish. The last step is to put a picture of your camp friends in the frame! 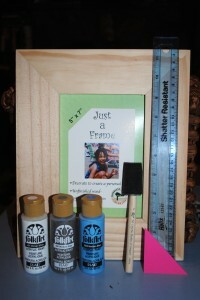 For around $10 you can create a custom picture frame! I’d love to see what patterns you or your campers choose to paint. 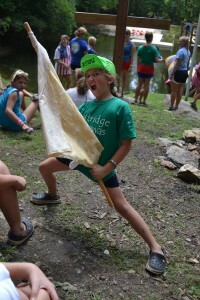 You can send pictures to rscamps@ridgecrestcamps.com or you can post it to our Facebook pages! Make sure to check out my next craft on March 15th! I once read a newspaper headline that made me chuckle: “Red Lipstick Empowers Women.” The caption, coupled with a photo of Marilyn Monroe wearing a white flowing dress and painted crimson lips, made me think that perhaps I’d found the answer to the discipline problems with my elementary students. That’s been my problem all along — I’ve been wearing champagne pink! While child psychologist Dr. Kevin Leman is an out-of-the-box parenting problem solver who might buy into the lipstick method if it worked, Dr. Leman instead teaches parents about the effective “Reality Discipline.” This clever method of getting little “ankle biters” to obey is less exhausting and more successful than ranting, raving, blaming, pleading, begging or threatening. The first thing to remember about Reality Discipline is that you want your children to learn to think for themselves and learn to become more responsible through guidance and action-oriented techniques. In an article from First Things First, Dr. Leman says, “Action-oriented discipline is based on the reality that there are times when you have to pull the rug out and let the little buzzards tumble. I mean disciplining your children in such a way that he/she accepts responsibility and learns accountability for his actions.” Here’s an example. When my brother was in high school, my mother implemented Reality Discipline without realizing it. My little brother, Gannon, could sleep through a tornado (or a hurricane or tsunami) and my mother was tired of waking him up every morning and saying, “You’d better hurry, or you’re going to miss the bus.” Finally, Mom thought, I’m not waking him up anymore. He can be late. Just as she suspected, Gannon did miss the bus and was forced to walk the mile to school. Much to my mother’s delight, he was never late again. She didn’t have to beg, plead, give him ultimatums or nag Gannon one more time. Instead, she let reality do the discipline. Note: If you want to use Reality Discipline, you have to listen to your child. Then you’ll know what will move him to responsibility. The more you understand what’s important to him, the more ammunition you’ll have in your arsenal to “train up” your child in the way he should go. In Have a New Kid by Friday, Dr. Leman writes, “Show me a mean teacher, and I’ll show you a good one.” If you find that you are a permissive parent who is afraid of “pulling the rug out from under your child” as Dr. Leman suggests, remember that Reality Discipline is not unkind. Instead, when it’s motivated by love to help your child mature into a responsible adult, it’s a very good gift. What is your favorite game to play with your friends? How do they help you win the game? What are some things you like doing with other people? What makes that so special? How do you see God helping you make good choices about right and wrong? How can you lead your friends toward making wise choices? Who is someone you think never struggles with internal battles with sin? Why? How does knowing Paul struggled with that conflict make you feel? How does knowing the Spirit can help you experience victory over sin make you feel?